Come! 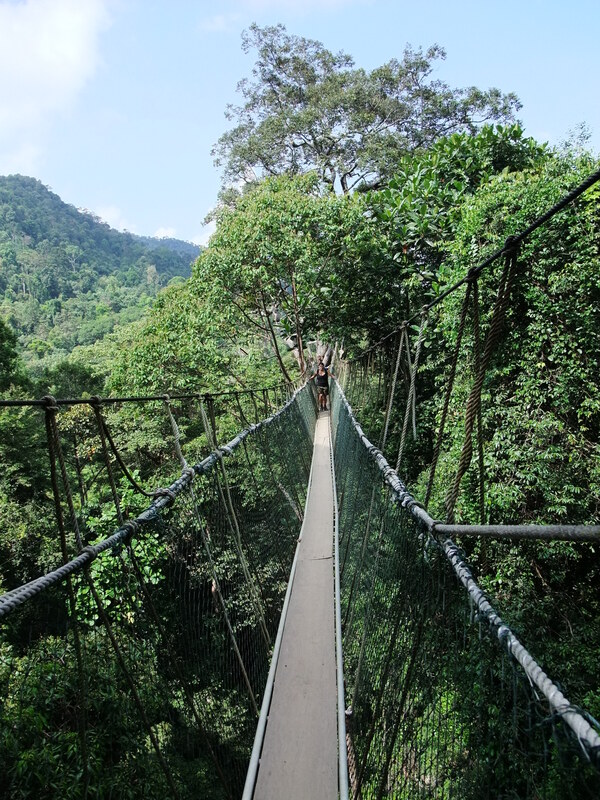 Let us enter the deep jungles and the spectacular national parks of Malaysia. What is in store for you as a tourist to Malaysia’s rainforests and national parks? Walking Trails in Similajau National Park. 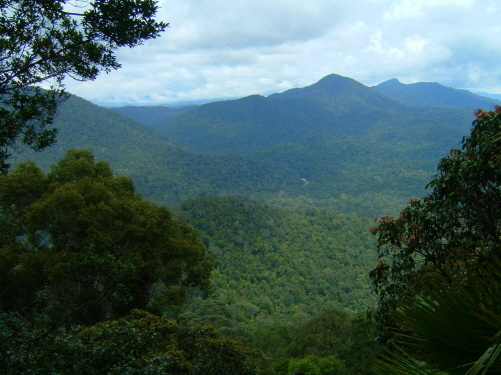 Malaysian rain forests: Malaysia and Singapore are the two most tourist friendly nations in Asia. I mean, both these countries have innumerable places to see and activities to take part. Apart from its natural beauties, the Government has implemented awesome infrastructure keeping in mind with the tourist inflow to their countries. you will stop your online research for the best places for all the above-mentioned faculties. Malaysia is a blessed country by nature. The island of Borneo that it rules on its east coast is where most of the tropical rainforests are located. The mainland Peninsular Malaysia also has diverse flora and fauna, landscape and terrains such as mountains, beaches, and forests that the Government has built national parks around them. The gentle cascading waterfall, the rocks, and the surrounding mountains with forests all over it slope-all these are the true identities of a Malaysian rain forest. The mountain you see in the picture is called “Mount Ophir”. It is located in the south of mainland Malaysia. I read Mount Ophir as the 64th highest mountain in Malaysia. Did you get the message? As many as 64 mountains in such a small country gave the tourist-friendly Malaysia ample opportunities to attract tourists by making their country as attractive as possible in an organized way. 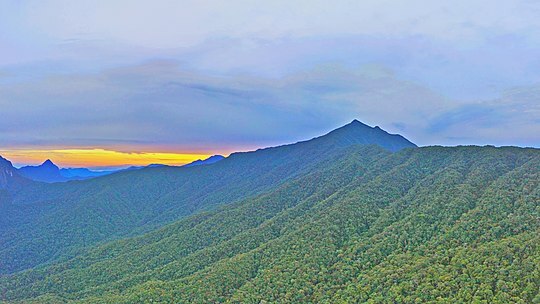 The Mount Ophir (highest peak stand at 4200 feet) that is part of the Gunung Ledang National Park is a hikers’ paradise. 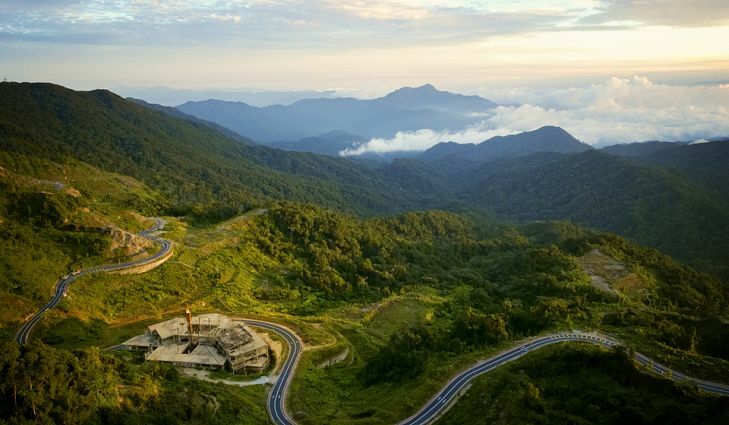 Gravel roads too are made to reach the top of the mountain for a breathtaking view of Malaysia’s rainforests. If hikers are having a field day, the bird watchers can silently scream (so as not to scare away the birds) with excitement when they spot several species of exotic Malaysian birds that have come to see. 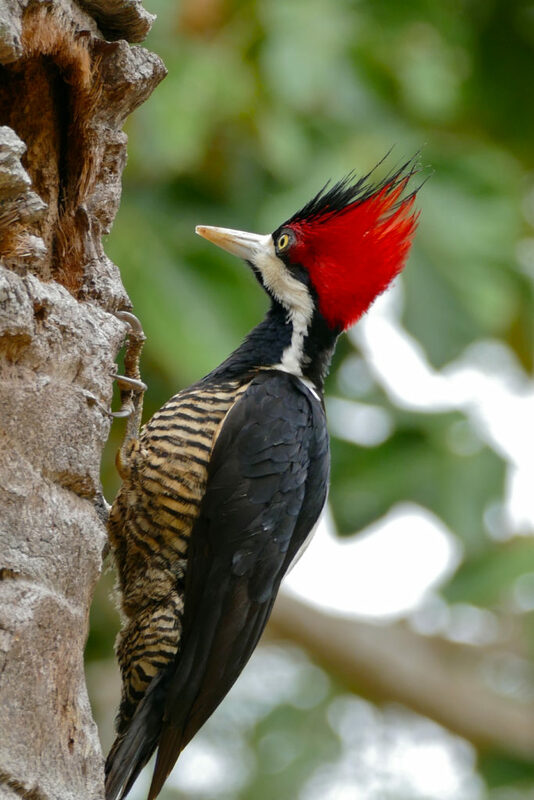 One of the colorful birds that I have identified as the native of Malaysian rainforests is the ‘Crimson-crested woodpecker’. Children would love the gentle waterfalls that are several inside the national park area, especially the not-to-be-missed waterfall is Puteri Waterfalls. The small lagoon that forms to collect the falling water is an ideal place to splash around and enjoy. 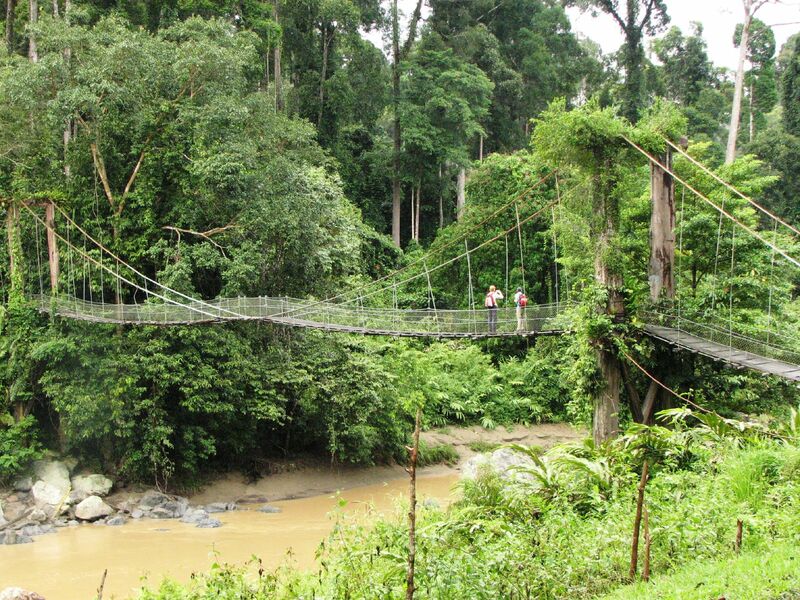 Taman Negara National Park receives the highest number of visitors every year. Moreover, there is no such thing as ‘season’ to visit one of the world’s richest bio-diverse eco-system. A Malaysian travel site says this particular rainforest in Malaysia is older than Amazon rainforest. Said to have been existing since 130 million years ago, the Taman Negara national park is certainly a haven for nature lovers. 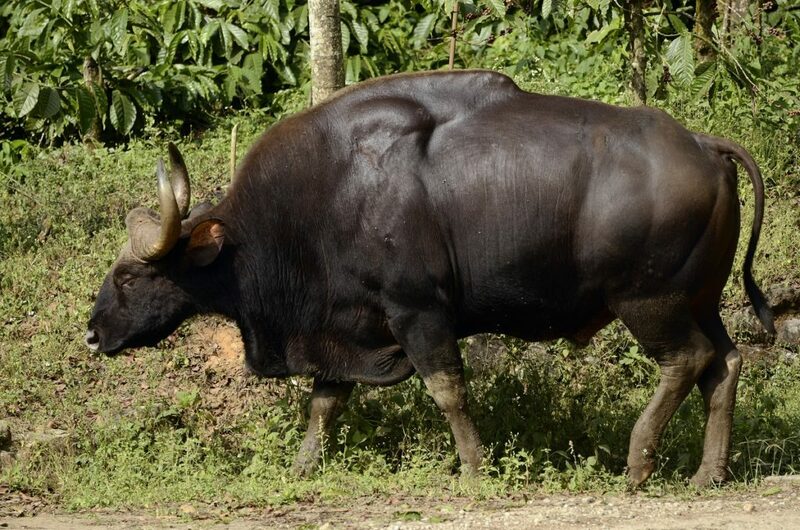 Taman Negara is a really a large national park comprising an area over 4300 sq.km. You require a knowledgeable tour guide to take you inside the national park. Have you ever seen anything like this? It is the most unusual bird that I have ever seen. 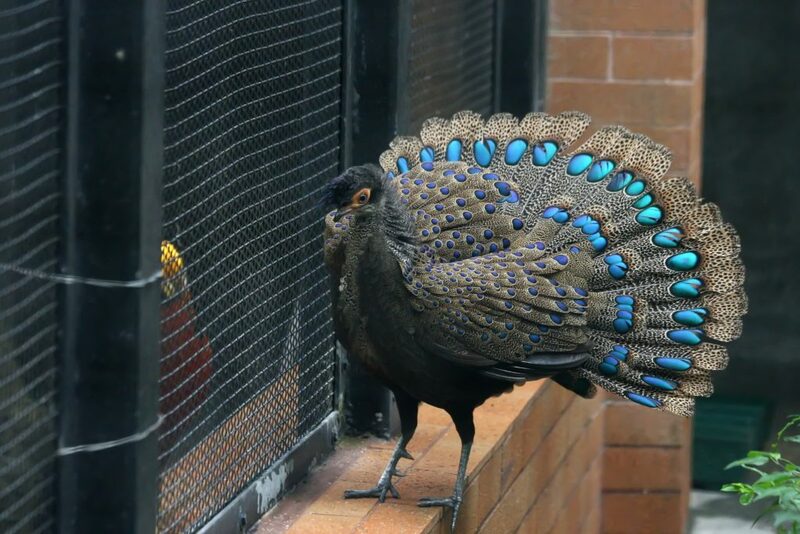 I guess it must be easy to spot this Malaysian bird because its movements will instantly attract our attention. The ruffle of the leaves will give this bird away. Special mentions here prior to your wandering into the rich national park of Malaysia. 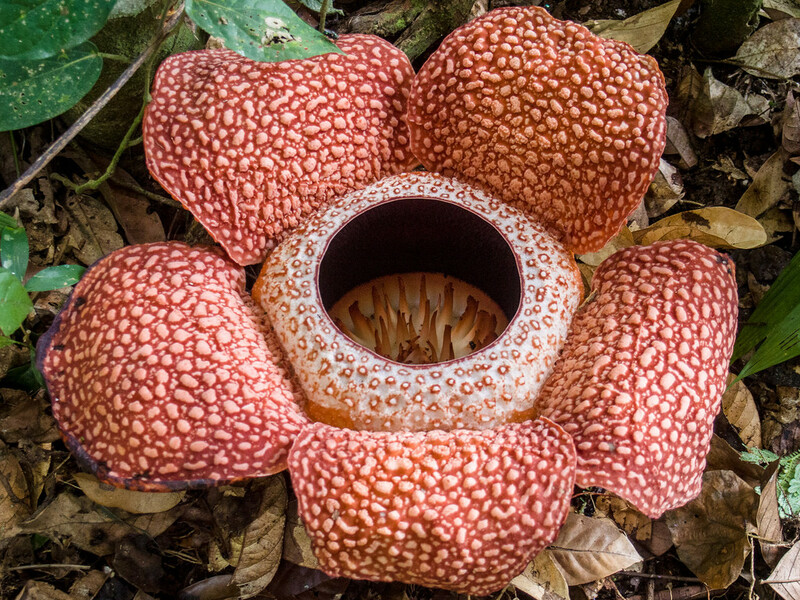 Look out for the rare flower called ‘Rafflesia’. The monkey species known as “macaques” can be easily seen all over the Taman Negara National Park. Have you any idea about the length of this Malaysian mountain range. It runs for nearly 500 km and even enters it enviable neighbor Thailand! The Titiwangsa Range carries another name “Banjaran Besar”. The entire mountain range is covered with thick rainforest trees and shrubs with a tremendous diversity of flora and fauna. I have read much about the fauna of Malaysian rainforests and I would certainly say, even African forests cannot match the birdlife of Malaysia’s jungles. 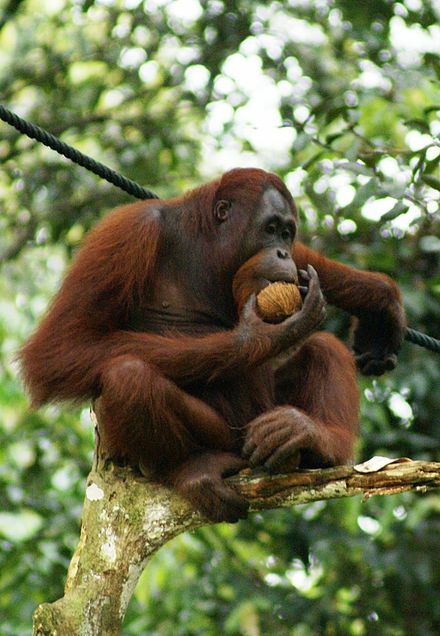 For example, the Orangutans are found only in Malaysian forests! You can easily spot several hornbills that always are looking far and distant. Well, that’s the impression you would get when you see them in their own habitat. 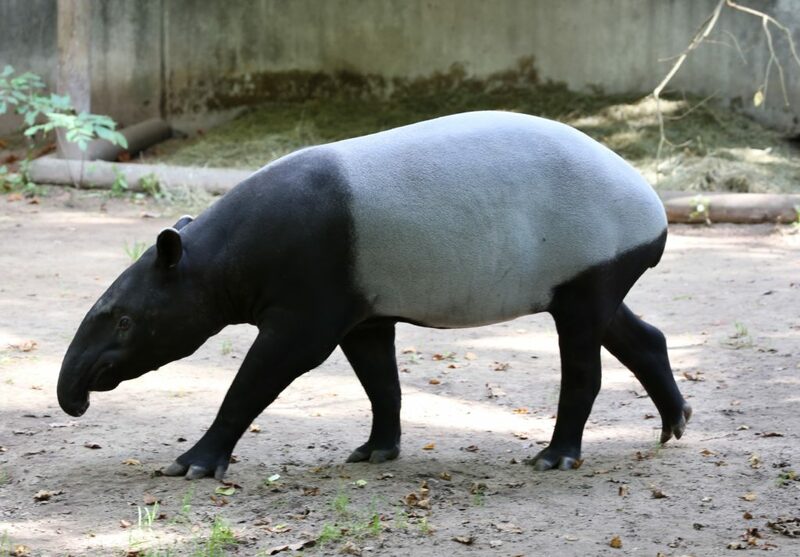 Where else can you see the Malaysian Tapir? 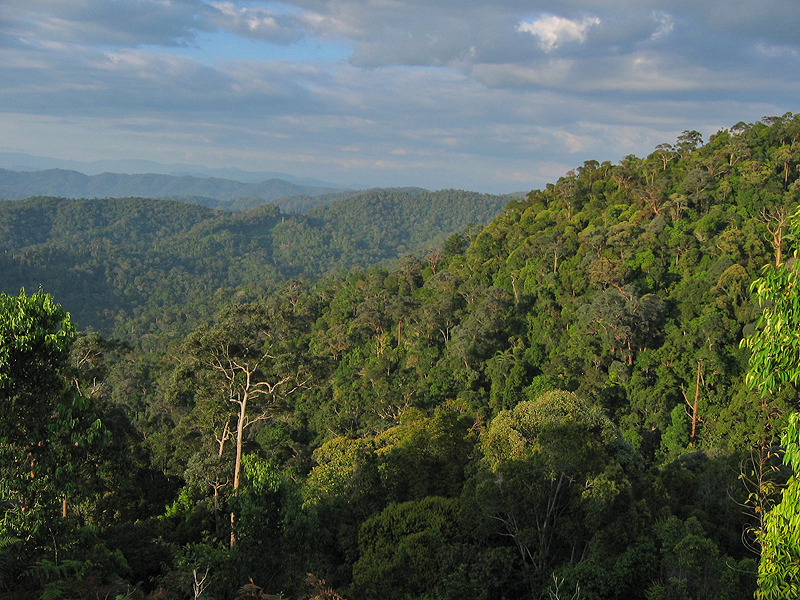 Malaysia’s rainforests and nature reserves are home to 20% of the world’s entire wildlife. The rainforests of Malaysia also include swamp forests that are home to a wide range of insects, beetles, grasshoppers and so on that make a great meal to the myriad birds of Malaysian national parks. Now, we have entered Borneo, Malaysia’s east coast island where the world’s greenest rainforests can be found. Borneo Island receives thousands of tourists from all parts of the world. When you foray into any rainforest in Malaysia, you will surely come across a river or two whose banks are perfect homes to enchanting insects and bird species. 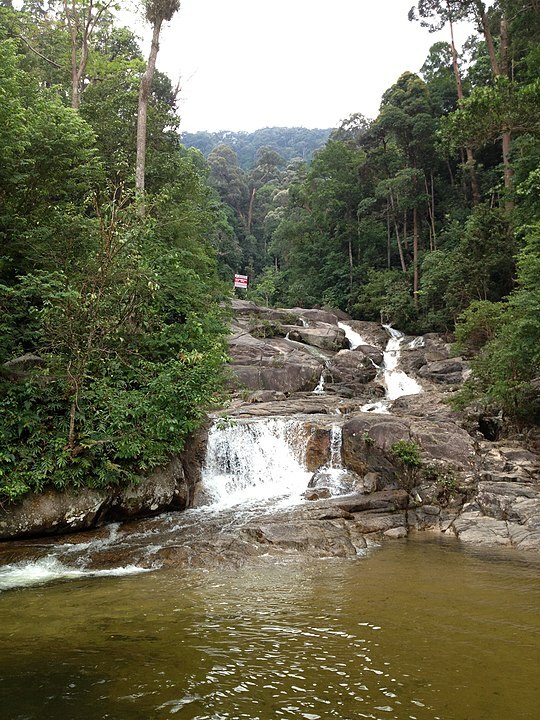 Your Borneo forest trekking includes a swim in the river, camping on the open ground, and of course wildlife tracking. Try to stay a night or two in Borneo Rainforest Lodge to really enjoy the ultimate jungle life because of its location very deep into the valley. The gorgeous Kinabalu Mountain is the prime attraction of this Malaysian national park called Kinabalu and it is one of the earliest UNESCO World Heritage Sites in Malaysia. 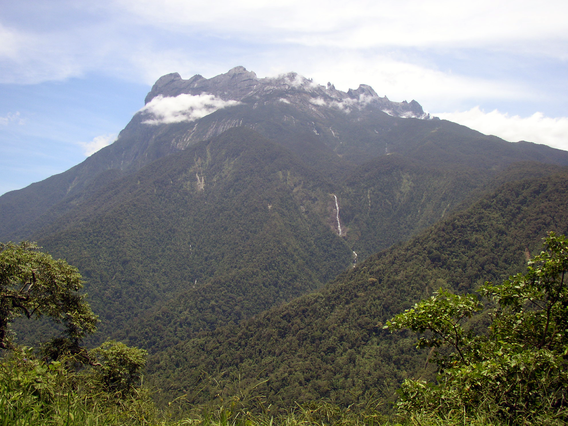 The “Kinabalu Mountain and National Park” is located on the lush Borneo Island of Malaysia. Borneo is an island of extremely natural beauty with terrific dark rainforests, mountainous terrains, a big range of flora numbering over 4000 species. That’s a staggering number flora variety which alone can attract thousands of interested visitors. With such a thick jungle that can be hot and humid like the rainforests of Vietnam, you can guess the number of birds and insects that contribute in a big way to wildlife sustenance and survival. The avifauna species are counted at 326. Even the snails are of 100+ species! You can imagine the range of exotic insects and rare, colorful butterflies that are living in this Malaysian rainforest. The Mount Kinabalu peaks at 13,000 feet! That means trekkers numbering nearly a million are visiting Kinabalu Mountain every year. One of the endangered mammals, the Borneo Orangutans attracts every age group of tourists, especially the children in this Malaysian rainforest. Gunung Mulu National Park is a typical Malaysian rainforest protected by the UNESCO in Borneo. Look at this image of Mount Mulu; isn’t it breathtaking? 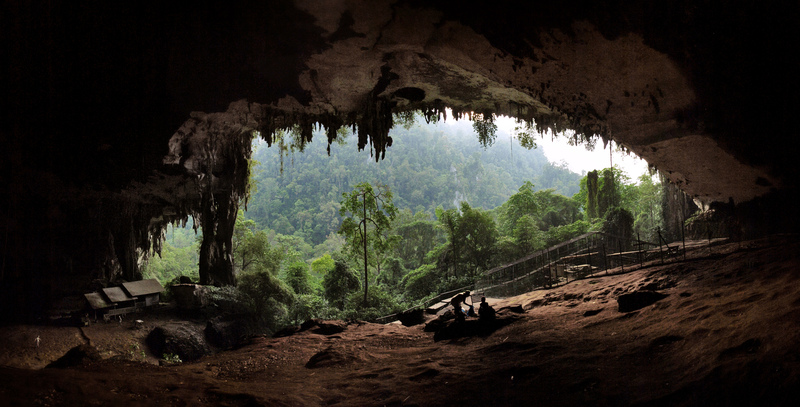 Those who are not claustrophobic are eager to enter various caves in this Malaysian rainforest. One cave is oddly named Deer Cave that is full of bats! Guided tours are offered by several Malaysian Rainforest tour operators who are proud to show you the captivating Garden of Eden that comprises a lovely valley, limestone cliffs, and waterfalls. 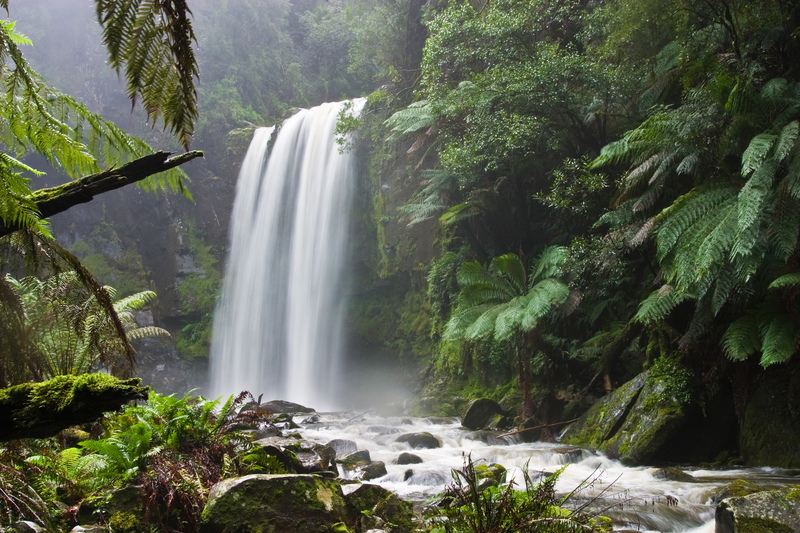 These hidden waterfalls inside thick rainforests are fantastic sights to remember. Sarawak region in Borneo is home to more than 10 rivers that convert into several waterfalls. If you have the time, join an organized tour of Sepilok Orangutan Sanctuary, a sprawling 50 sq.km area, reserved exclusively for the Orangutans. I am taking you to one more rainforest of Malaysia. This time, you will visit the Penang Island that houses the Pantai Acheh Forest Reserve that was later named as Penang National Park. This Malaysian National Park occupies a whopping 3000 acres! 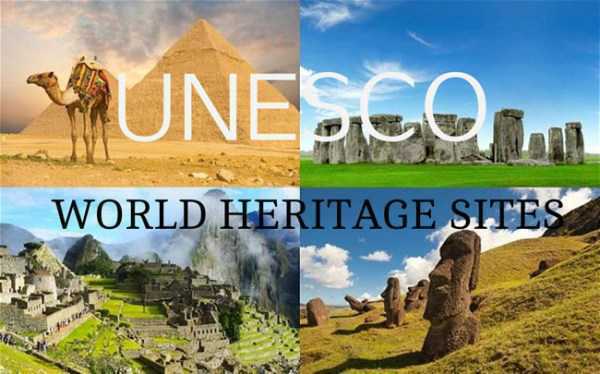 Considered to be of immense biodiversity value, it attracts tourists as well as researchers in the field of horticulture and forest conservation. 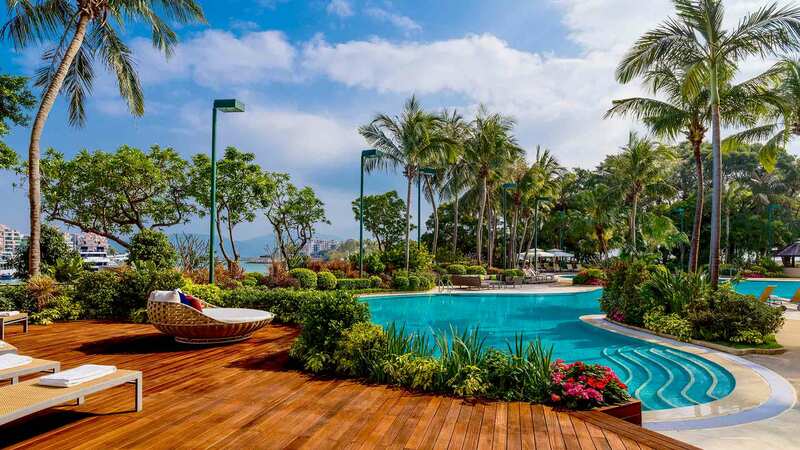 When you have had enough of this tropical heaven and a canopy walk giving you a bird’s eye view of the forest, enjoy a few hours in the less-crowded Penang beach. 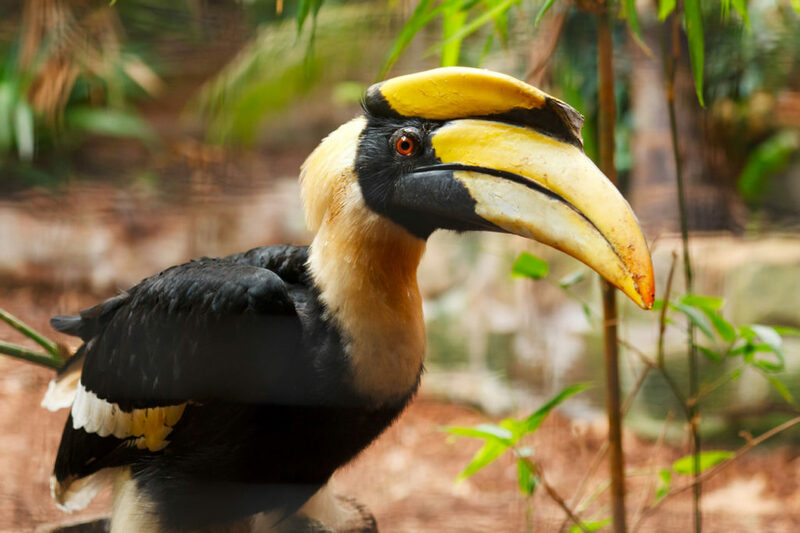 This rainforest is home to the beautiful and big hornbills. As many as 10 species of hornbills are happily living in this Malaysian rainforest. Oh yes, you can also see the Rafflesia, the large pink and red flower. Endau and Rompin are the names of two rivers that flow through this exquisite Malaysian National Park that is named after the two rivers. The dense forest covered hills and lengthy slopes of meadows are ideal mountain trekking areas. 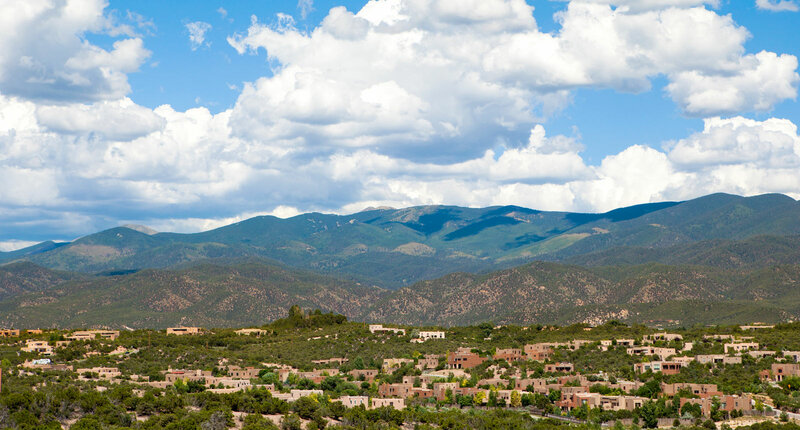 There are several walking trails making it easy for the first time trekkers. On their hiking routes, the trekkers will stumble onto quiet waterfalls, tall forest trees that would beg the walkers to hug them, and hornbills that would halt the hikers on their track to watch their movements closely with avid interest. This scenic nature reserve is located in the Sandakan district of Malaysia. The area is a protected forest that is already left rather undisturbed and unexplored because of some restrictions. There is a resort here that allows its guests to look around the forest, walk on a canopy platform and arrange hiking sessions. Similajau National Park is probably the most visited tourist place in Borneo Island, Malaysia though it is a rather lesser known place for reasons unknown. I foresee an increase in its awareness after this article. However, there are enough reasons for its high numbers of visitors such as several trekking trails, abundant wildlife watching spots where even crocodile watching is carried on. What is in store for you if you visit Similajau National Park? 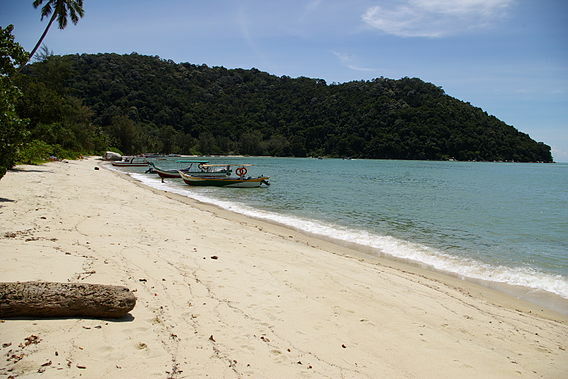 Batu Mandi Island that is located just about minutes boat ride from the Sarawak seashore. Selunsur Rapid- a river whose water flows at a rapid pace at certain points during its course. You can spot with some professional help of course, the green turtles and the Hawksbill turtles. You must visit the Turtle beach which is part of the Similajau National Park, Borneo, Malaysia. There is one more spot called Golden Beach to spot the turtles. Do you like the sight of the turtles? I don’t. Neither I like to see the crocodiles that also can be seen on the Likau River but they can be spotted only during the night. Boat Ride on the River Likau and River Sebubong. There are numerous walking trails that alone attract the locals and tourists, especially from Singapore. Walking through forest trails is an excellent adventure. You will learn so many things, encounter myriad living beings and the trees can teach you something. Like any rainforests in Malaysia and Borneo, you can spot quite a few Hornbills in Similajau National Park. 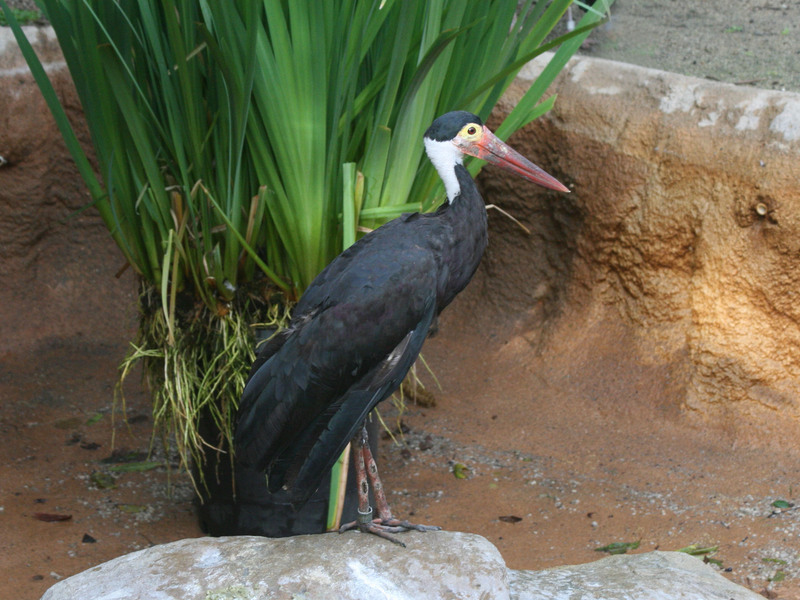 A rare black stork called Storm Stark can be seen waiting patiently on the banks of tropical rivers for its midday meal. This is a cute looking Banded Surili, a species of primates. However, these ocean mammals are seasonal only; I think March to October is when you can see them on the South China Sea. Somehow, seeing the human crowd, the marine creatures seems to have made a living spot on the nearby sea thus attracting ardent snorkelers to enjoy a few minutes of floating on the sea. Fastboat ride on the South China Sea is also available. Noticing a range of activities to indulge in and places to see, Similajau National Park in Borneo, Malaysia has diverse attractions for tourists with varied interests. Beaches, rainforests, nature walk, island hopping, river cruises, bird watching, and river rafting are the options for you in Similajau National Park. This is a different kind of Malaysian National Park though, there are rainforests too. Limestone caves are the main attraction here and they are classified as pre-historic. This is a good angle, showing the lush green foliage from inside the cave. You have taken a lot of pains to go deep into the rainforests and national parks in mainland Malaysia and Borneo Island. Why not take time off to visit a few wildlife sanctuaries also? After all, they are on your path and there is not much deviation of schedules. Oh, what a wide option in Malaysia for nature lovers! Rainforests, national parks, beaches, water sports, island hopping, river cruising, wildlife sanctuaries are great attractors for tourists. As they, there is something for everyone in Malaysia. With so many rainforests and national parks in Malaysia mainland and Borneo Island, I think you require a minimum of 7 days to see at least half of them.